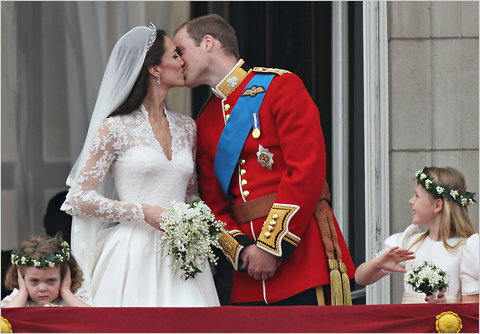 Take a look at the happy couple’s first kiss and then look at the bottom left corner. Someone wasn’t happy. Update: her name is Grace Van Cutsem, and she is the great-great-great-granddaughter of William Waldorf Astor.